Universities are almost unrecognisable from what they were a decade ago. Students have changed; the way they study has changed, the job market they enter on graduation has changed, and â€“ most importantly â€“ the power dynamic has shifted. The student is now also the customer who demands value for money. Institutions have to make sure their facilities accommodate the new generation of student. A decade or so ago, it was simple. There were the places you went to learn: lecture theatres, classrooms, computer labs, the library and the places you went to have fun: namely, the Student Union bars and club. And then, at the end of the day, it was back home to eat, sleep and recharge, ready for the next day. OK, so the progression from work to play to rest was never quite that linear, but there was a divide between them that is no longer there. In many institutions, that separation between academic and non-academic campus buildings no longer exists. 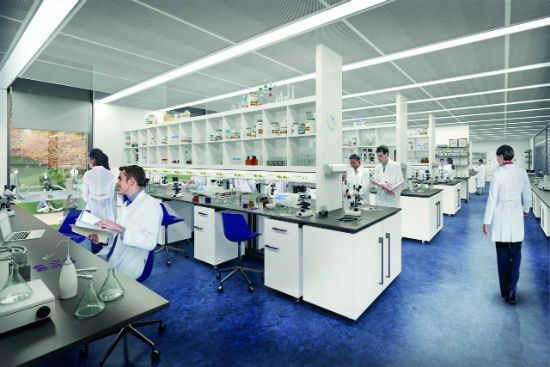 Campus buildings are increasingly multi-purpose, offering a range of facilities under one roof. â€œTodayâ€™s students learn and interact with each other differently to the last generation. Just as many study whilst on social media, the ability to engage academically and socially within the same or adjacent space is second nature,â€ says Aaron Taylor, Principal and Education Sector Lead at Stantec. Because of this, demand has risen for â€˜hub buildingsâ€™ which are able to offer a mix of academic and non-academic functions: IT suites and informal study spaces â€“ with areas for silent, quiet and social study â€“ and dining and retail facilities. This is partly as a result of the increasing commercialisation of higher education, says Richard James, HEFE Sector Manager for Willmott Dixon. 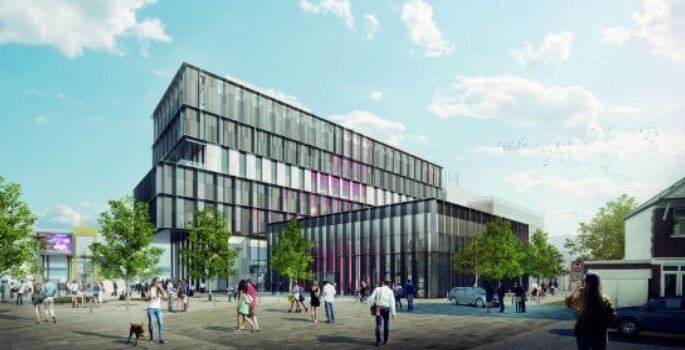 Universities now need to be more efficient in their management of the campus, and hub buildings are a cost-effective way of providing all the services students need under one roof. â€œThe Sibson building at the University of Kent brings two schools under one roof, with central shared teaching and social spaces not only improving utilisation, but also creating interactions between staff and students from the complementary schools,â€ he adds. The change in provision is also a reflection of studentsâ€™ changing attitudes towards learning. Todayâ€™s student is simply a different beast. â€œThere is no typical 9â€“5 student day anymore, and as with working practices, the models of learning are changing. Universities need to create spaces that support students with social and pastoral facilities,â€ says Aaron. 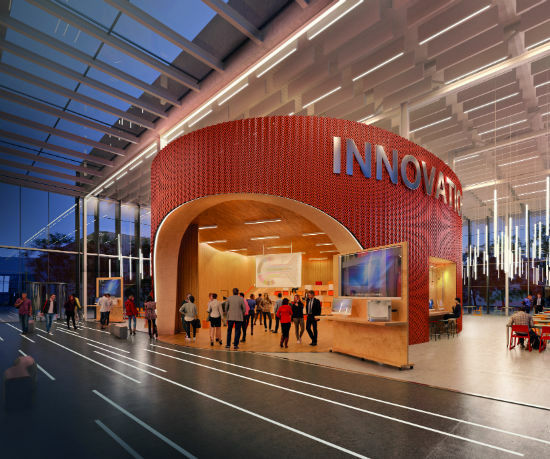 â€œWe have seen a significant amount of campus development across the country â€“ and internationally â€“ as each institution strives to improve their student experience. In addition to expenditure on dedicated faculties, we have seen campuses being designed to support the 24-hour student lifestyles away from their learning spaces â€“ student life, sports, entertainment,â€ says Aaron. 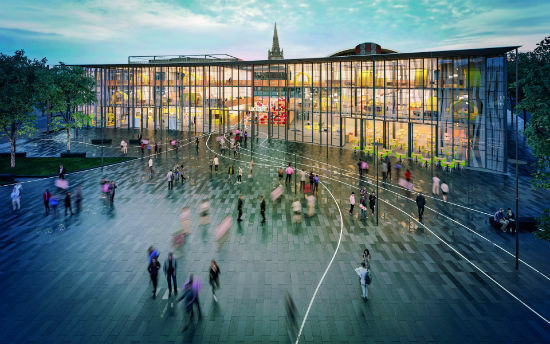 â€œThe importance of creating buildings that can adapt and change â€“ often several times during their lifetimes â€“ is a given, and designers must look at ways of accommodating this in a cost-effective way that minimises disruption. â€œEqually, as greater inter-faculty collaboration becomes the norm, the creation of multi-functional space â€“ formal or informal â€“ is important, which is why more administrative building spaces are now being regularly used for learning,â€ he adds. Technology plays a big part in the move away from the traditional learning en masse in lecture halls. The â€˜flipped classroomâ€™ allows students to learn in their own way. They can access course materials â€“ including audio and video lectures â€“ from anywhere, and contact time can be used more effectively for teaching in smaller groups and workshops. â€œUniversity campuses are continuing to evolve, as they look to new ways of learning and teaching that embrace the latest technologies and personalities of the millennial generation,â€ says Aaron. The new generation of students can afford to demand more. Thereâ€™s been a definite shift of the power dynamic to the student over the past few years. The HEFCE becoming a part of the Office for Students, which effectively incorporates the main funding body into a student-focused structure, only serves to highlight this change in the power dynamic. How can you futureproof your campus to avoid unexpected shocks and expenditure?